Cracker Barrel is a well known American chain of comfort food, started in 1969 in Tennesse. Many people love their cheesy hashbrown casserole and wish to recreate it at home. This guide contains copycat cracker barrel hash brown casserole recipes. I am a lover of the Hashbrown Casserole served at the Cracker Barrel restaurants. I live in Canada, however, make sure we get to have meals at the Cracker Barrel's each time we travel to the USA. I have one recipe that is frozen hash browns, sour cream, cheese, a can of creamed soup, but this does not taste anything like the real thing. If I can push a bit further? How about their Buttermilk Biscuits, they aren't popular at all here in Canada, not sure why since they taste divine! Any help? Thanks! Preheat oven to 425 degrees F. Combine the frozen hash browns, cheese, and onions in a large bowl. Combine the milk, beef stock, half the melted butter, the garlic powder, salt and black pepper in another bowl. Mix until well blended, then pour the mixture over the hash browns and mix well. Heat the remaining butter in a large,ovenproof skillet over high heat. When skillet is hot, spoon in the hash brown mixture. Cook the hash browns, stirring occasionally, until hot and all of the cheese has melted (about 7 minutes). 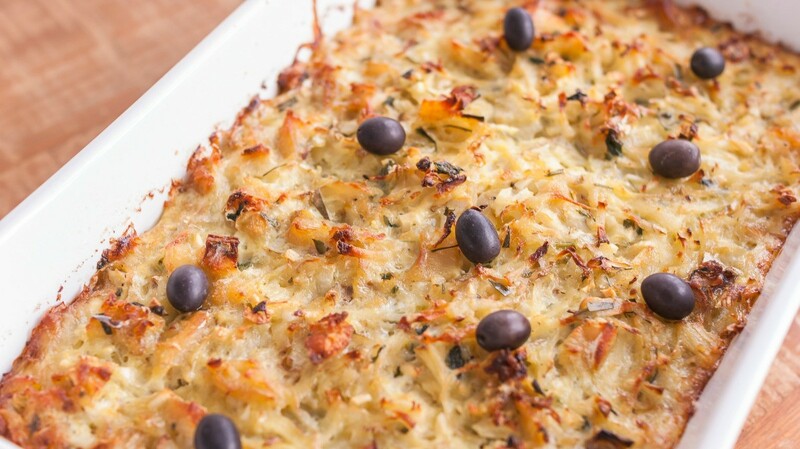 Put the skillet into the oven and bake for 45-60 minutes or until the surface of the hash browns is dark brown. Note. You can also use a 9x9 inch baking dish. Source: This recipe is from "Top Secret Restaurant Recipes", published in 1997 by Todd Wilbur. My Husband purchased the Cracker Barrel Old Fashioned Country Cooking Cookbook from Cracker Barrel some years back. Here are the two recipes you requested!! In a large mixing bowl combine the shredded cheese, chicken soup, sour cream, chopped onion, 1/4 cup butter, salt and pepper. Mix well. Fold in the thawed hash browned potatoes. Turn mixture into a greased 9x13 baking dish. Toss together the cornflakes and 1 Tbsp. melted butter and sprinkle over the potato mixture. Bake @ 350 for about 1 hour or until the cassarole is golden brown and the potatoes are tender. Sift together the dry ingredients, Cut in the shortening, add the buttermilk, and mix well. Turn out on a floured board. Roll out and cut. Bake at 450 degrees until browned. I am looking for hash brown casserole recipes with, or without, soup as an ingredient. Similar to the one that Cracker Barrel serves. Thanks! Combine soup, margarine, salt, pepper, onions and cheese. Gently mix in the potatoes and pour into prepared pan or dish. Here is my recipe for oven hash browns, known as 'funeral potatoes' guess a lot of people take to funerals. Anyway,it is very good. Put potatoes, onion, green pepper in 9 X13 sprayed pan. Mix soup, cream cheese and margarine together by heating. Pour soup mixture over potatoes. Poke around a little to have liquid go into potatoes. Preheat oven to 425 degrees. Combine the frozen hash browns, cheese, and onion in a large bowl. Combine the milk, beef stock, half of the melted butter, the garlic powder, salt, and black pepper in another bowl. Mix until well blended then pour over the hash browns and mix well. Heat the remaining butter in a large ovenproof skillet over high heat. When the skillet is hot, spoon in the hash brown mixture. Cook the hash browns, stirring occasionally until hot and all of the cheese has melted (about 7 minutes). Put the skillet in the oven and bake for 45 to 60 minutes or until the surface of the hash browns is dark golden brown. This was the original recipe that we presented as our recipe. It uses a sour cream base for the binding agent. Place potatoes in a greased 9x13 inch pan. Season with salt and pepper. Melt butter in the microwave. In a bowl add minced onions, sour cream, and cream of chicken soup, and melted butter. Mix these items together. Pour soup mixture over potatoes; sprinkle with Cheddar Cheese. Bake at 350 degrees for 45 minutes, or until all is completely warm, and the cheese begins to melt.